The roll-out of passenger compensation for 15-minute delays to two existing franchises is being subsidised by the taxpayer despite rail firms receiving half a billion pounds annually in compensation for disruption. 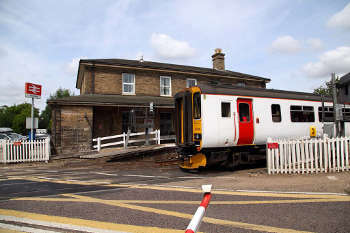 The Department for Transport (DfT) said it had ‘secured’ improved compensation for delays and cancellations for GWR passengers while Greater Anglia also announced that it is rolling out 'Delay Repay 15', having 'worked in close partnership' with the DfT. The DfT told Transport Network that 'where additional compensation arrangements have been agreed with DfT in a change to an existing franchise contract, this will be covered by the Department', adding that all new franchises would include Delay Repay 15. In the cases of both GWR and Greater Angia, Delay Repay 15 compensation is not specified in their franchise contracts. As Transport Network has reported, for 2017/18 Network Rail paid train operating companies (TOCs) a total of £180.5m under Schedule 8, which covers unplanned disruption, and nearly £357m in Schedule 4 payments, which cover planned works. During the same year, TOCs paid out only £80m in compensation to passengers. Labour's shadow transport secretary, Andy McDonald, told Transport Network: ‘I was shocked to learn that a new compensation scheme for rail passengers will be partially funded by taxpayers. Both companies will be rolling out the scheme, under which passengers will be able to claim compensation for journeys delayed between 15 and 29 minutes, from 1 April. Currently on both franchises services need to be delayed by at least 30 minutes for compensation to be paid. In a statement Greater Anglia said the improved compensation was ‘thanks to a new deal signed between the operator and the DfT’. It declined to state what level of compensation was being paid by the DfT. GWR’s existing compensation framework does not fall under the Delay Repay system. It adds: ‘It is intended that any revised Passenger’s Charter shall be implemented by way of Variation [to the franchise agreement]’. According to Network Rail, in 2017/18 Greater Anglia received £11m in Schedule 8 compensation. No figure is given for Schedule 4 compensation during that year, although it received £10m in 2016/17. In the same year, GWR received £28m in Schedule 8 compensation and £71.5m under Schedule 4. Data published by the DfT shows that Greater Anglia paid passengers £4.5m in compensation in 2017/18 while GWR paid £9.9m.